The world’s first Bluetooth Focus/Iris control unit have become an instant success, it uses a high bandwidth and interference-free Bluetooth remote control. 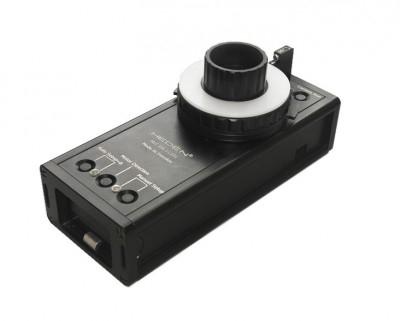 The Swedish company Hedén Engineering has been the market leader in electrically driven lens control systems to professional film cameras for more than 45 years. Their electric motors with patented reduction gears deliver superior performance in terms of precision, durability and low noise level. The introduction of the world smallest and lightest vertical mounted lens servo motor was done in 2009. 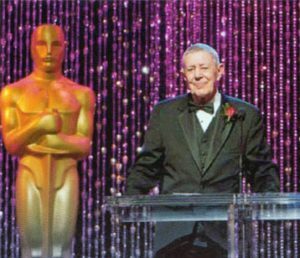 The year after Mr Björn Hedén was awarded an Oscar scientific & technical award from the Academy of Motion Picture Arts and Sciences. After a successful development project with Unjo, Hedén Engineering was able to introduce the world’s first Bluetooth Focus/Iris control unit in 2011. Hedén searched far and wide to find a supplier able to develop a new generation of control system for their electric motors for professional film cameras, only to find Unjo in their home town in Sweden. Their comprehensive specification of requirements gave high priority to points such as robustness, simplicity, rigid control and energy efficiency in addition to the hallmark features of their products – superior precision, silent operation and reliability. 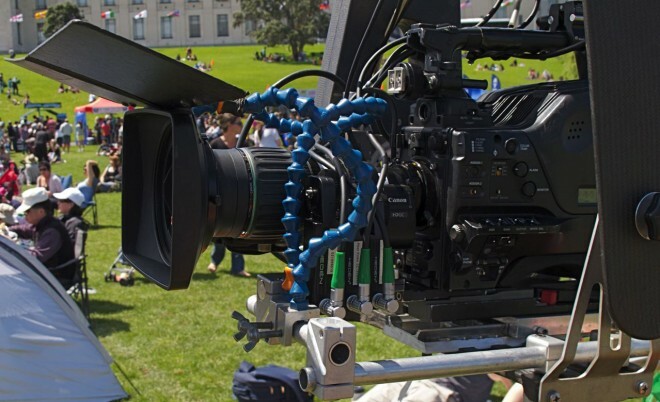 Today’s camera crews appreciate the intuitive feeling that comes with simplicity and robustness. The Hedén motorized lens control systems feature smart solutions ideally suited to the wants and needs of the people behind the cameras. The new Focus/Iris control unit must therefore be flexible, robust and simple to use even in extreme environments. In addition, photographers demand the same intuitive feeling in a remote control that you get when actually adjusting the lens directly on the camera itself. This is especially important since the digital or analog servo motors from Hedén are world-famous for their high precision null-seeking closed loop servo system which provides perfect follow-focus. The state-of-the-art remote control unit is designed with very high bandwidth which enables excellent responsiveness in the control of the mechanical camera lens. The control system has an integrated Bluetooth radio resulting in fast response, very smooth operation and high efficiency. The wireless remote motion control unit has therefore the same responsiveness normally found only in a high performance direct coupled system. The result is the precision and feel of a directly hand maneuvered high-end mechanical system. Since the control system communicates via an integrated Bluetooth radio, it is 100% interference-free and works even up to a distance of 200 meters with unobstructed view. The very high level of energy efficiency is important, especially when the system is battery operated. The control system uses well established technologies throughout its design and has been developed wholly with film-makers in mind. It is easy to use and provide the right feel and ease of use for the photographer. High precision means that each hand movement on the remote control unit translates to exactly the same degree of movement of the lens. The control system also reacts so quickly that there is no perceptible delay. The sensation of the control unit is therefore almost identical to that of the lens. The world’s first Bluetooth Focus/Iris control units have become an instant success, making Hedén Engineering the market leader not just with its Oscar winning lens control motor systems, but also in radio-based remote controls thanks to a successful development project together with Unjo. Unjo builds its advanced customized products based on our previous motor control knowledge which we call the Unjo Core Platform™. By combining this with a detailed analysis and deep understanding of the customers’ specific needs, it is possible to create world-class and cost-effective customized solution in a relatively short period of time.